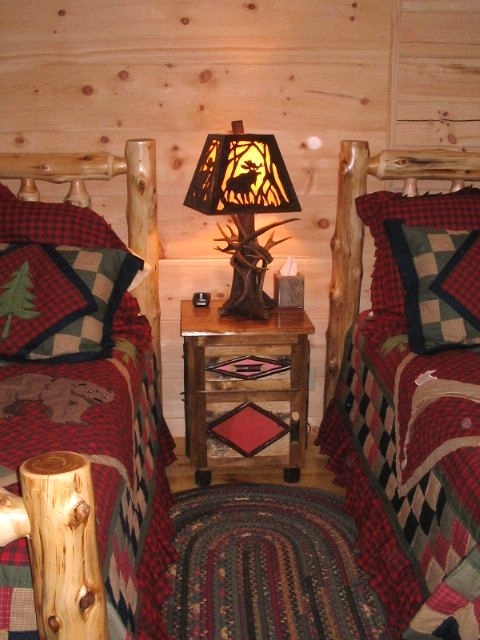 Adirondack Night Stand to match our Dresser and Stand. Will pop in any rustic decor! 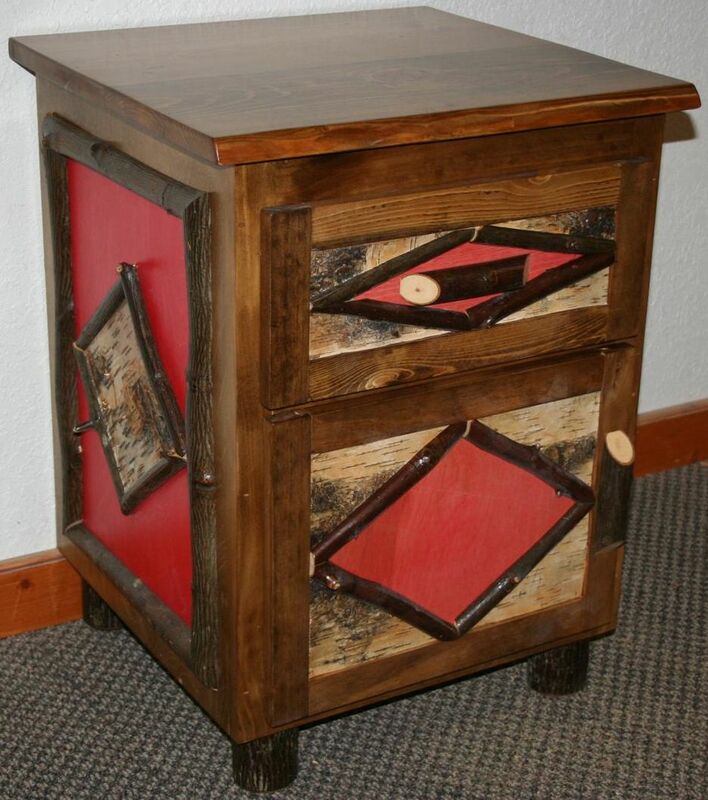 Made from pine, hickory and birch bark - also available in different color choices upon request. Paint colors and measurements can be changed upon request! We will then provide you with a custom quote. 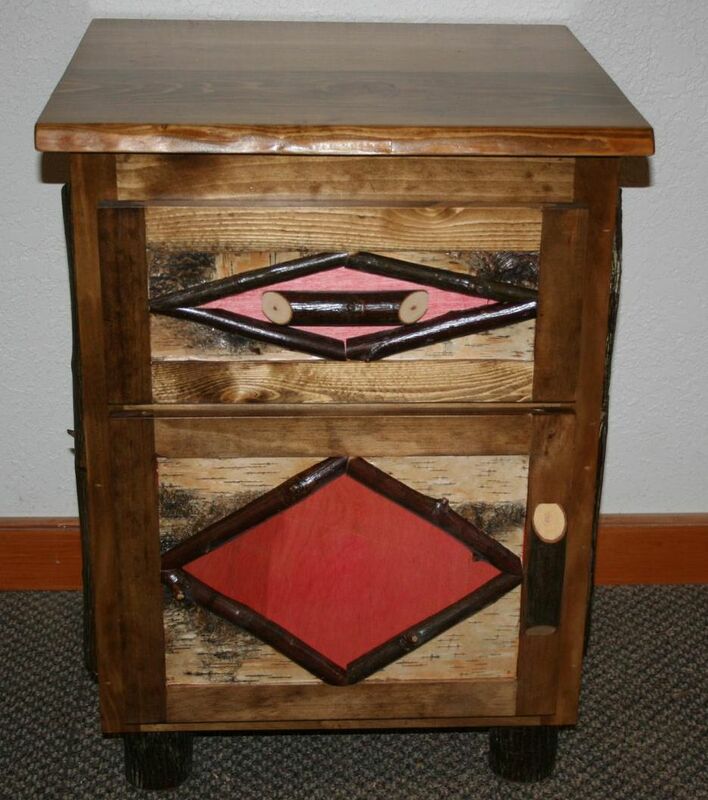 Birch bark is applied to sides and can also be applied to the diamonds on cabinet door and drawer front.